American Standard 2878.100.020 Yorkville Right Height (1.1 gpf/4.2 Lpf) FloWise, White. 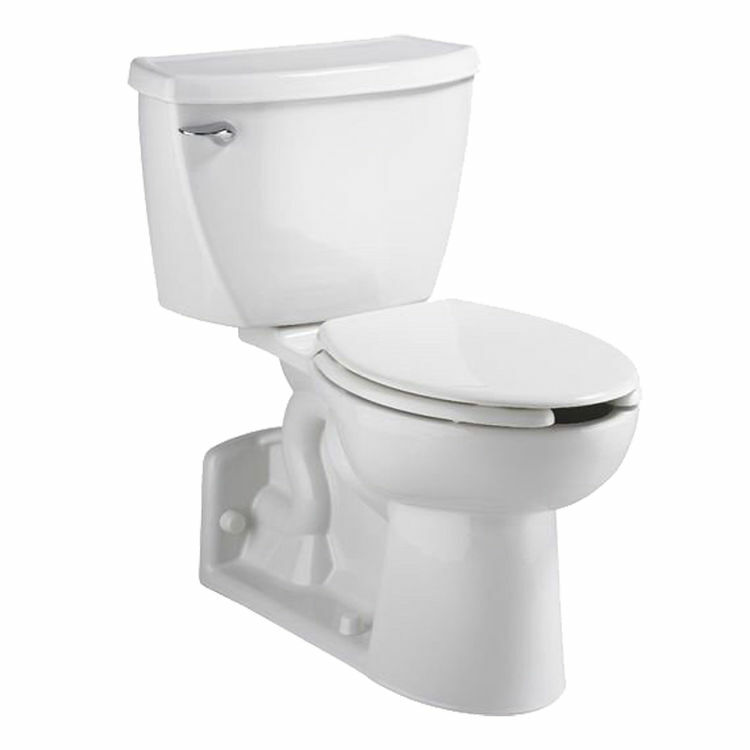 This pressure-assisted elongated toilet features a floor-mounted bowl/seat combination, an EverClean system that inhibits the growth of bacteria, mold, and mildew, an elongated 16-1/8" high bowl, a fully glazed 2-1/8" trap way, a close-coupled flush-o-meter tank, a chrome left-sided metal trip lever, a Speed Connect tank/bowl coupling system for an easy installation, 4 bolt caps, and a sanitary bar on the bowl. It meets EPA WaterSense criteria with it' high-efficiency, ultra-low consumption 1.1 GPF. American Standard also offers a toilet from the Yorkville collection with a Vormax flush system -- a revolutionary technology where it cleans better than other types of flushing systems using only 1.28 gallons per flush. Check out the new Yorkville Vormax toilet here at PlumbersStock.com. Shipping Dimensions 30.0" x 21.0" x 31.0"
Shipping Dimensional Weight 110.74 lbs.